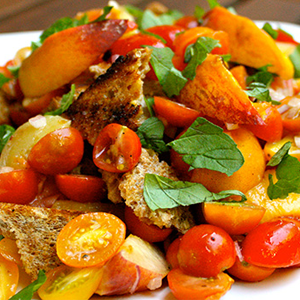 Panzanella is an Italian salad made from day-old bread torn into bite-sized pieces that soak up the juices of tomatoes and dressing. This version gets luscious sweetness from grilled peaches. Combine tomatoes, shallot, 2 tbsp. oil, vinegar, salt (if desired), and pepper (if desired); whisk to blend. Set aside. Toast bread on grill for about 2 to 3 minutes on each side, or until browned. Cool; tear into bite-sized pieces. Place in a medium serving bowl. Set aside. 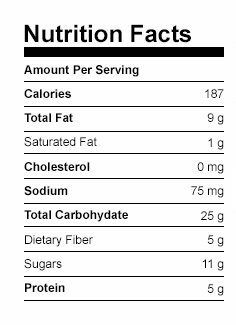 Brush cut side of peaches evenly with remaining 1 tsp. oil. Place cut side down on grill. Cook for about 2 to 3 minutes, or until just charred but still firm. Remove from heat. Cool; slice into bite-sized pieces. 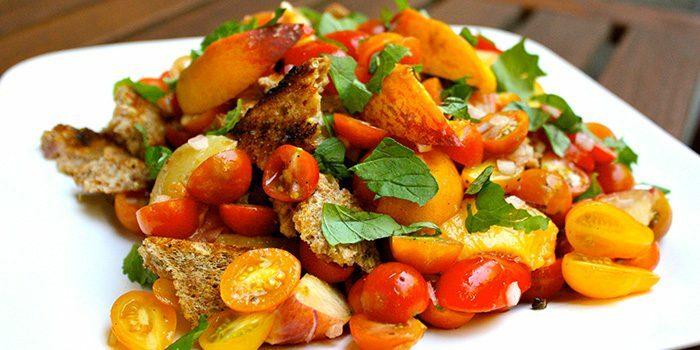 Add tomato mixture, peaches, and basil to bread; toss gently to blend.